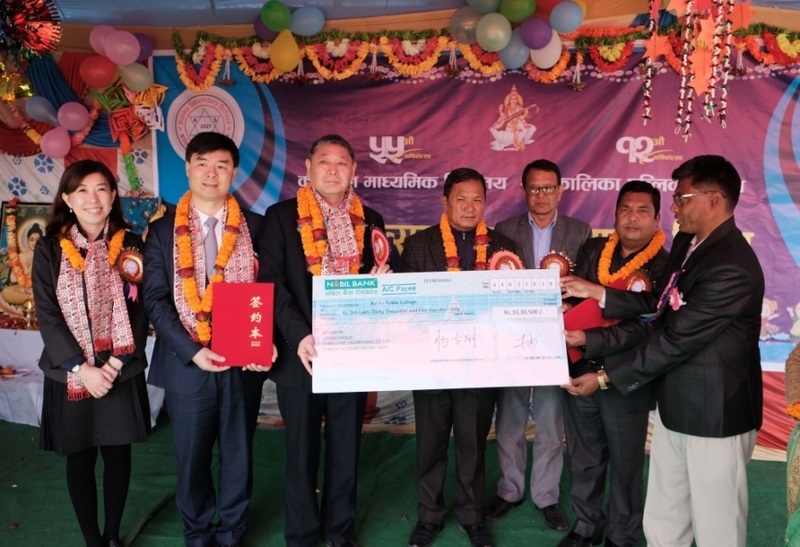 On the morning of February 4th, 2019, the Ceremony of Donation to Kalika Public University by Pokhara International Airport Project took place in Pokhara, Nepal, where the project locates. 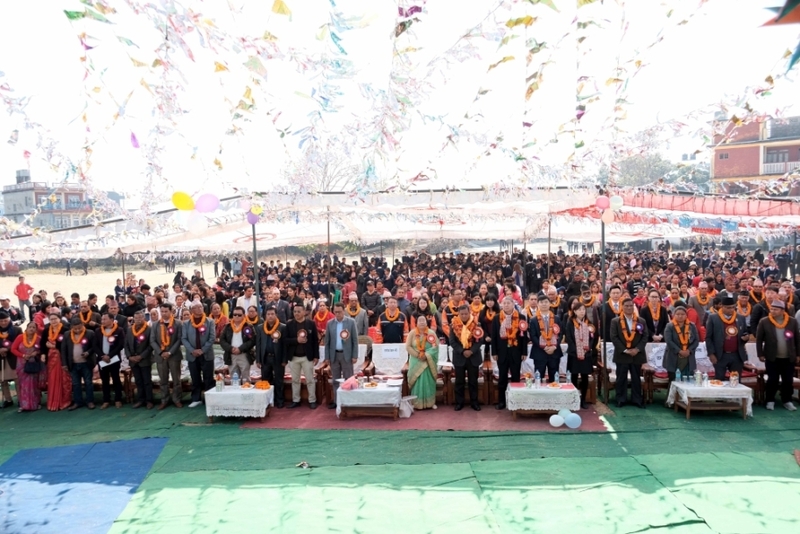 Nearly 1000 people including Party Secretary Ding Jian, Vice President Liu Shengcheng, Member of the Party Committee and Assistant to President Huang Kaili of CAMCE, Governor of Gandaki Province Priswell Suba Gulung, Mayor of Pokhara Man Bahadur, as well as teachers and the students attended the event. The theme of the ceremony is Giving Love and Sharing Happiness. At the ceremony, Vice President Liu Shengcheng signed a donation agreement with the school. On behalf of CAMCE, Party Secretary Ding Jian donated one year tuition fee to 45 poor students in the area worth about $10,000, and donated books for one year of study to 55 poor students in the region. Mr. Ding said in his address that CAMCE was actively fulfilling its social responsibilities and was passionate about public welfare, while constructing the Pokhara International Airport Project. 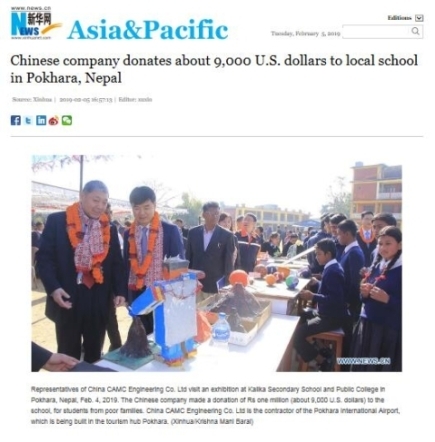 He hoped the students benefiting from the donation can become useful talents to society and contribute to the friendship between China and Nepal. 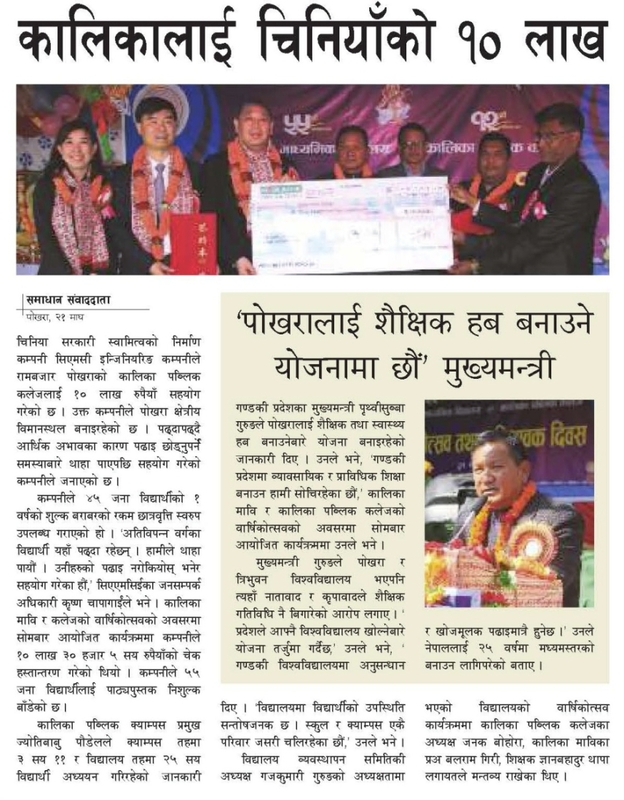 The Governor of Gandaki Province and the Mayor of Pokhara delivered speeches respectively and expressed their sincere gratitude for the donation of CAMCE. And they spoke highly of CAMCE's efforts in promoting education and fulfilling social responsibilities in the region. The Xinhua News Agency and the main local media reported on this event. This donation is an initiative of CAMCE to support the development of education in the project area and brings love and encouragement to the children of the region as the Chinese Lunar New Year approaches. CAMCE has extended the core values of "dedication, integrity, perseverance and innovation" to project regions abroad, which demonstrated the good image of Chinese companies fulfilling their social responsibilities.